This time we have a collaboration piece between me and Alastair Temple. He’s a fellow artist from the Luminarium artgroup and mostly into Photography. Every now and then he’s going Scifi or Abstract. Here he combined his abstract technique with some neat scifi and asked me to add some additional magic as well. It mainly the space station. 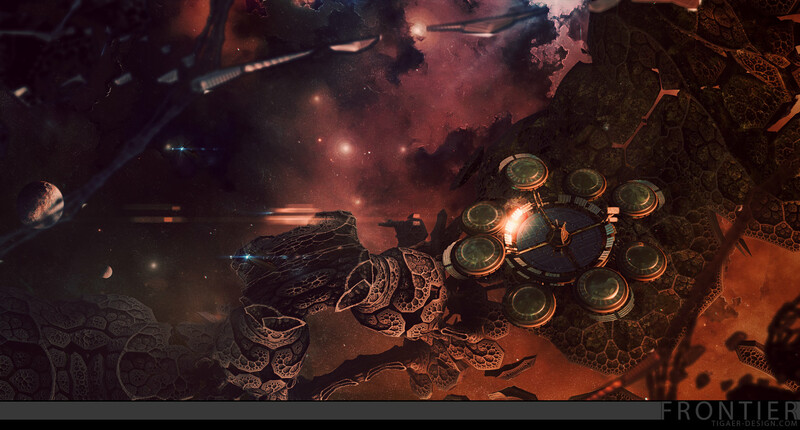 I also added some additional detail to the alien structures and worked on the composition a bit. In the end we both created individual versions of the scene. This entry was posted on Sunday, November 13th, 2016 at 14:55	and is filed under Paintings. You can follow any responses to this entry through the RSS 2.0 feed. You can leave a response, or trackback from your own site.